UPB has been recognized as the most valuable company of the construction sector in Latvia, according to the list of the most valuable Latvian companies in “TOP 101 2015”, ranking in the high 51st position in overall score. Research shows that the total value of assets of the UPB holding has increased up to 78.8 million euro in 2014 representing a 5.8 million increase in comparison with the year before. This year, five construction companies can be found among the 101 most valuable Latvian companies. 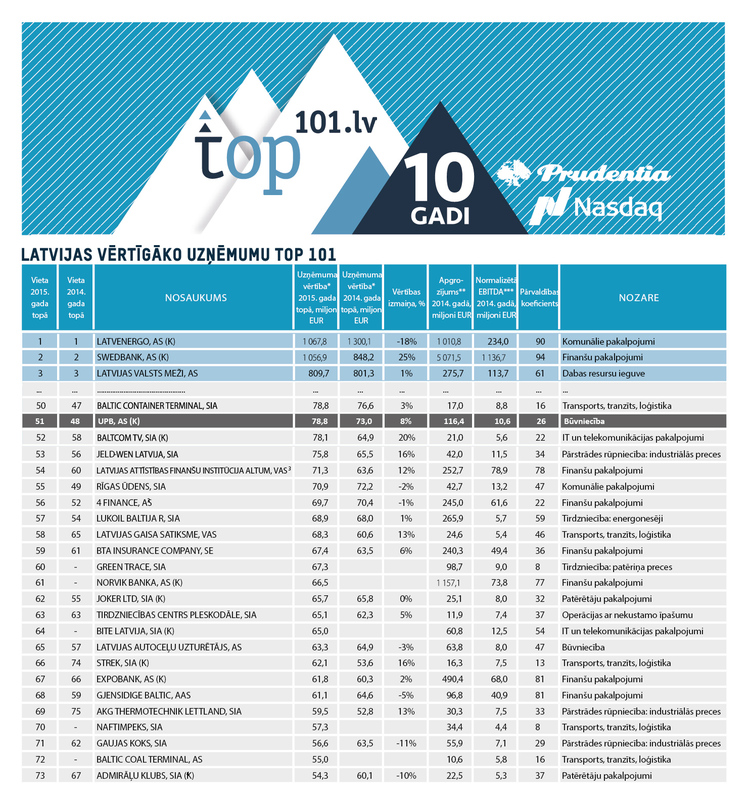 “TOP 101” is being compiled annually already for ten years, and during this period UPB has been valued as the 51st most valuable company in Latvia. Values of the Latvian companies “TOP 101” reflect business value of the companies or value of the future cash flow of the economic activity of the company collectively for all providers of funds, including shareholders, members and financial creditors. More information about “TOP 101” here.